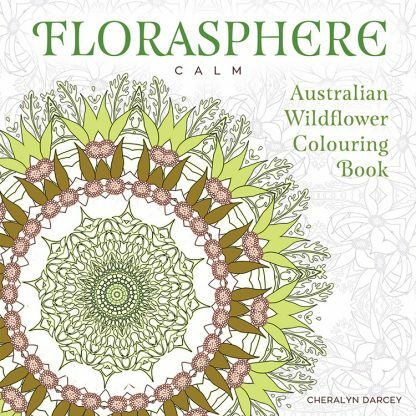 Florasphere Calm: Australian Wildflower Coloring Book is a special collection of favorite calming Australian Wildflowers from the author and artist of the Australian Wildflower Reading Cards, and Flower Reading Cards, Cheralyn Darcey. All uniquely hand drawn, you will delight in finding sweet Flannel Flowers to the gentle Kangaroo Paws in every intricate, peace-induced geometric kaleidoscope. Let the beauty and the calming energy of nature overtake you as you color in each beautifully illustrated page, which can be treasured whole or removed to frame your favorite flower. Every page walks you through the Australian bush, through deserts, rain forests, plains, mountains and coasts to discover the secrets of Australian Wildflowers as you color them in with pen, pencil or paint in any way that relaxes your mind and inspires your heart.